Hello everyone, I hope you’ve all had a lovely Christmas with your family and friends! I took a little break over Christmas, firstly because I was absolutely shattered by the time it actually arrived and secondly because I wanted to spend proper time with my loved ones. Then an unforeseen third reason because I have been a bit unwell this week so haven’t really been up to taking photo’s for content etc. Now I’m back though, I’m ready to take on the new year and really put some time and effort into my blog for all you lovely readers to enjoy. 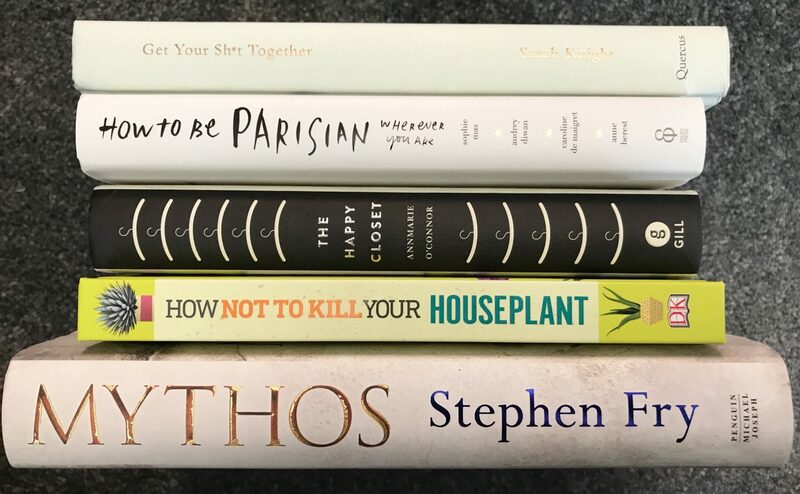 I thought I’d share with you some of the thoughtful gifts that I received this Christmas, obviously Christmas is about so much more than presents but it’s amazing when you are gifted something that is so “you” and you know someone has put a lot of thought and effort into it. 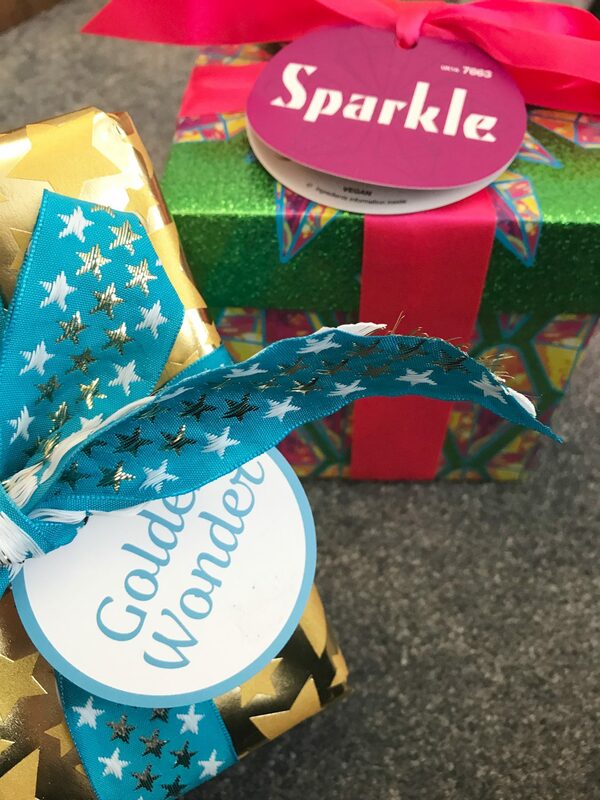 I also just want to quickly say this blog post is by no means me bragging, I personally love seeing what gifts people were lucky enough to receive and I am very grateful for all of my own. Also one last thing, I might not talk about every single thing I was gifted so if I don’t talk about your gift it doesn’t mean I like it any less I just might not have enough space to talk about everything. Okay so I’m going to start off with my biggest present which was also a surprise, Josh completely pulled it out of the bag this year and totally trumped everything I got him. He has very kindly organised for us to go to London for 3 nights to go and see Harry Potter and the Cursed Child and I am very giddy!! Anyone that knows me well will know I bloody love Harry Potter, I’m that annoying person that sits reciting the whole film as you watch it because I’ve seen it so many times before. In fact I watched the Half Blood Prince last night! We’re seeing both parts of the show on the same day which leaves our other day free to explore London as we have never been together before. I love all my presents but this one is by far my favourite and I’ve been spoiled rotten! 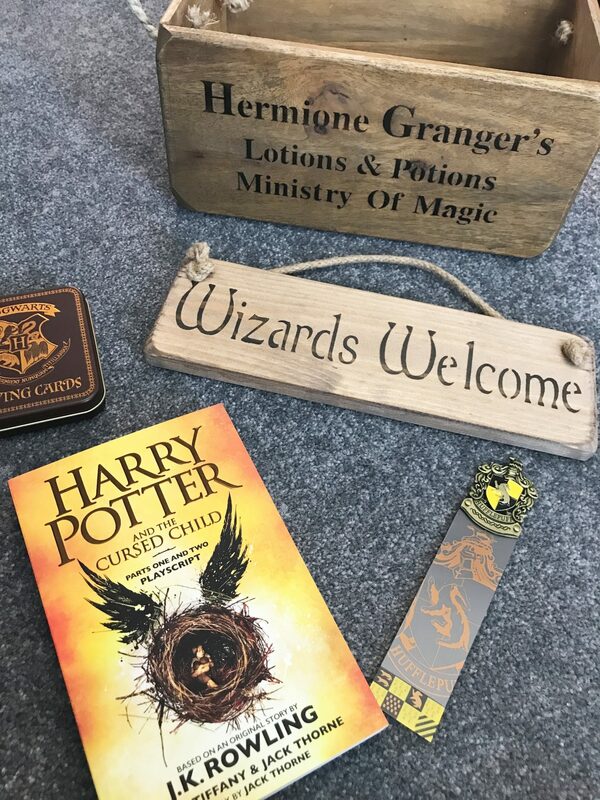 If you needed any further proof that I love Harry Potter I also received some wizarding gifts from other people, Josh’s brother Jack got me a really cool Hufflepuff bookmark so I can stop using scraps of paper to save my page and a nice wooden sign to hang in my bedroom. My Mum and Dad also got me a wooden crate to store all my ‘lotions an potions’ in! 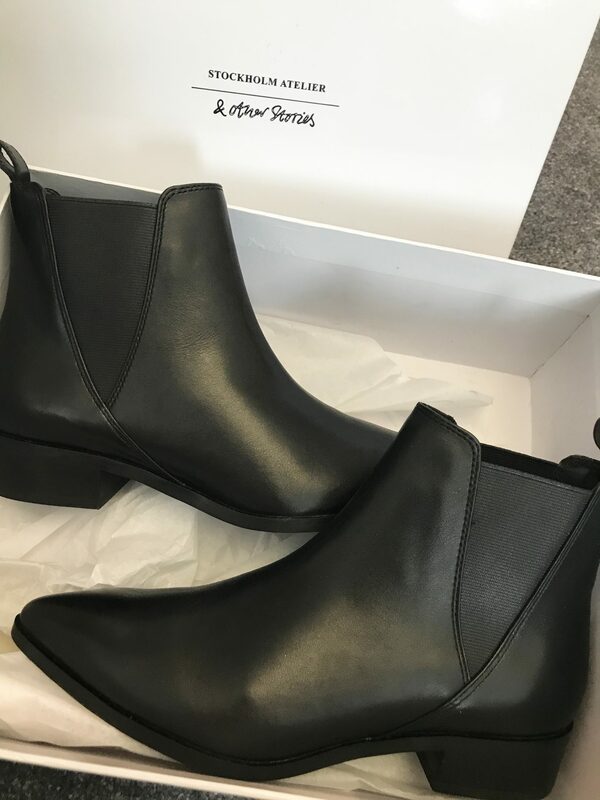 Moving on from wizards, Mum and Dad got me a beautiful pair of & Other Stories Chelsea Boots. I had mentioned that I wanted these and they fit like a glove! I thought they would be nice to dress up an outfit without having to wear heels. I can’t wait to start styling these so hopefully they will be appearing in some fashion blog posts soon! Next up, a practical gift, Josh also got me a Kanken Rucksack as I really needed a new bag for Uni. My old rucksack was torn and really hurt my back to carry it when it was full of books and my laptop. This bag is a more sturdy material, a better shape and is actually designed to prevent back pain so it’s perfect. I can’t wait to get back to Uni now just to start using this bag everyday! 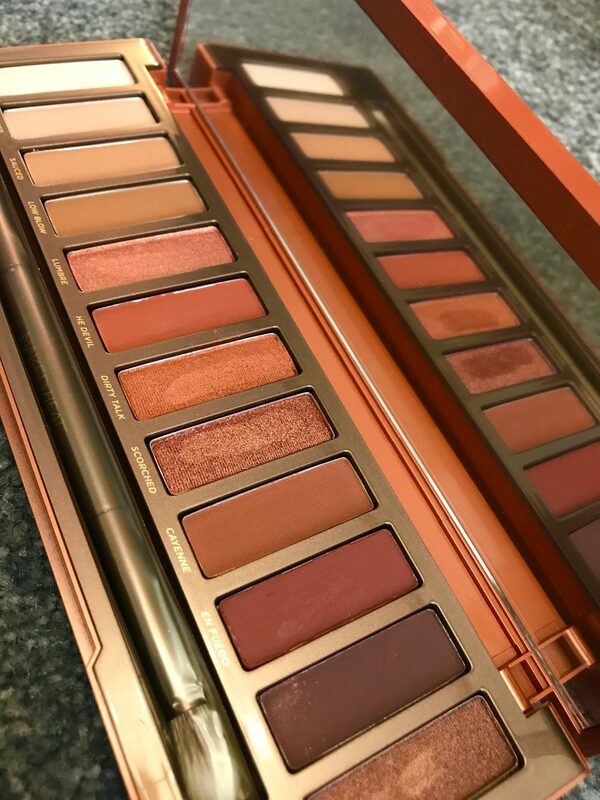 Now I’d been toying with the idea of this next gift for months, as soon as the Urban Decay Naked Heat Palette came out in Summer I knew I wanted it, it’s the exact colours I love to wear but I was trying to show restraint as I know I don’t actually neeeed it. However by the time Christmas rolled around and I’d seen review after review saying how nice it is I caved. My Mum and Dad very kindly bought it for me and I can’t wait to use it (I haven’t yet as I’ve been so poorly), I’m pretty certain this will be appearing in a favourites post once I get into using it. Would it be Christmas without a bit of Lush?I think not. I was lucky enough to receive 2 of their boxed gift sets, one from my parents and one from my Auntie and Uncle, I’ve got enough bath bombs, bubble bars, soap and shower gel to sink a ship and I couldn’t be happier. Lush is an absolute fail safe gift for me as it’s cruelty-free and I’m yet to find a product which I don’t like. Word must have got around that I like tea this year. 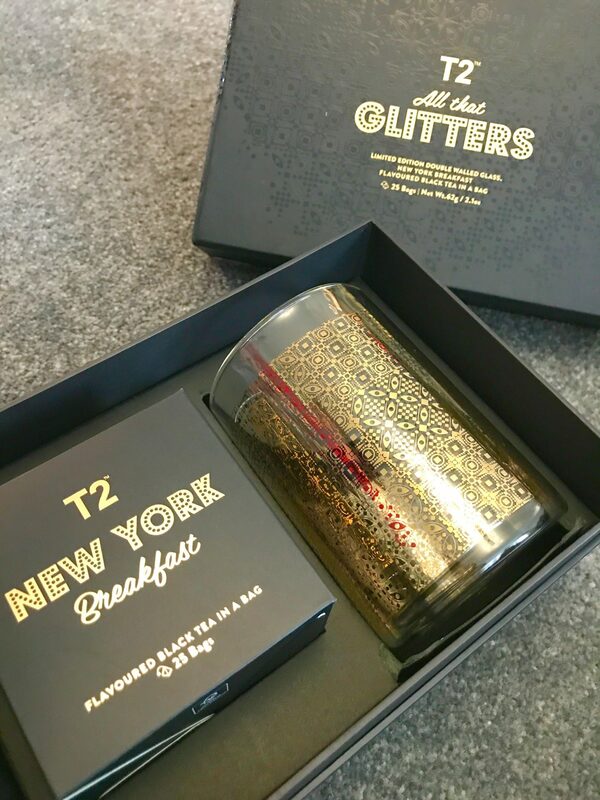 I was lucky enough to be gifted 2 gorgeous gift sets from T2. 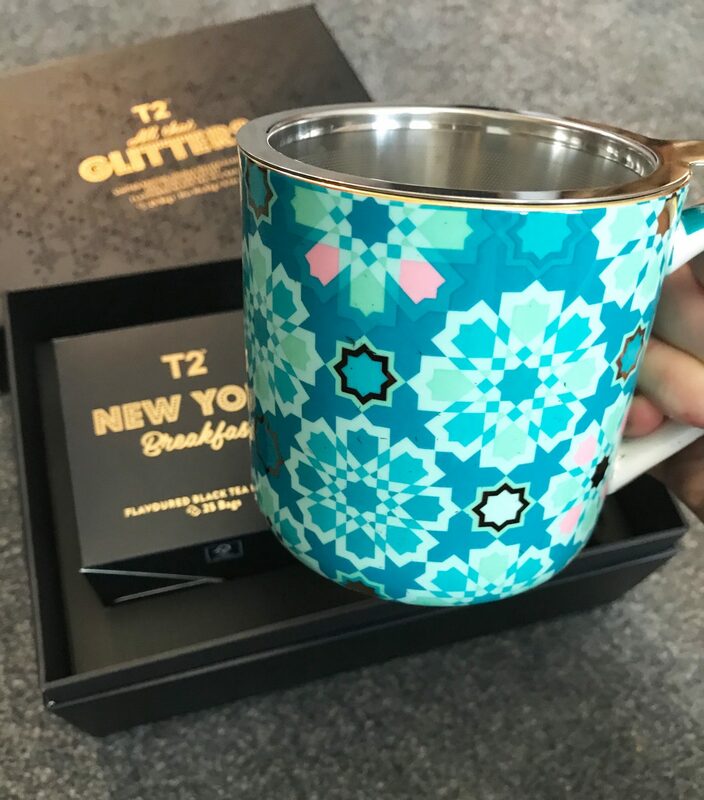 The first one was from Ellis and Alice who teamed up to buy me the All That Glitters set, with a gorgeous insulated glass with a box of my favourite New York Breakfast Tea Bags. The glass is that beautiful I’m actually a bit scared to use it in case I break it. The other set was from Josh’s parents, it contains the same tea but in place of a glass there was a lovely teacup, with it’s own self contained infuser and lid so it’s almost like a teapot in the shape of a mug! The pattern of the mug is so me and again, I’m petrified of using it as I’m so clumsy. 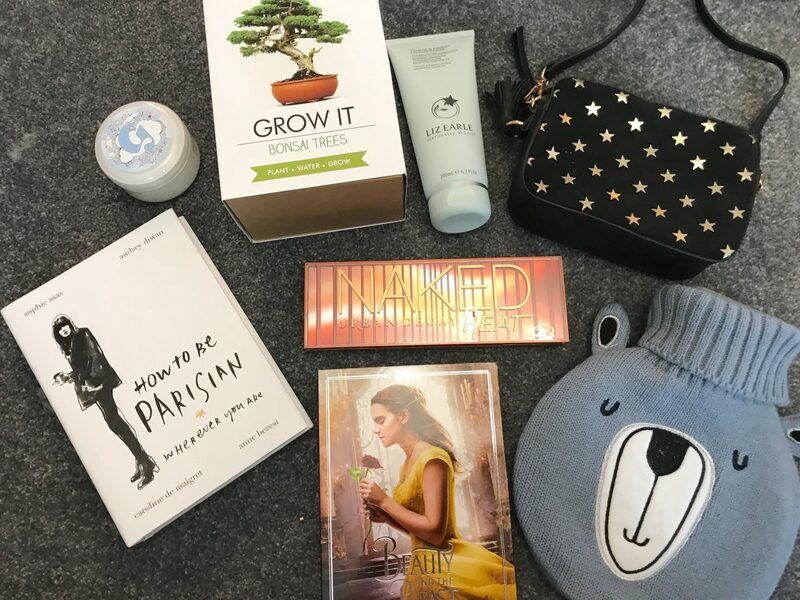 I also received other items which are slightly harder to group including a gorgeous French Connection black leather handbag (which is now super cheap in the sale), chosen for me by my Mum, a lovely Laura Ashley makeup bag which is big enough to fit my palettes and a mirror in it and my favourite Liz Earle Cleanse and Polish. Not to mention the classic Christmas Gifts of some vouchers, chocolate, new PJs and a new Calendar! It’s safe to say I am a very very lucky girl and I can’t thank everybody who bought me a gift enough! I love every single present and each one will be useful and I can’t wait to use them all in 2018! What was your favourite Christmas gift? Let me know in the comments below!